MultiChoice, which operates the DStv satellite television service, grew revenues by 19% to R21bn in the past financial year, despite the introduction of competition in SA’s pay-TV market. In the year to 31 March 2011, MultiChoice added almost 1m subscribers to its base, driven largely by the 2010 soccer World Cup, the company’s parent, Naspers, said in notes accompanying its annual financial results on Monday. Decoder subsidies and marketing also helped drive growth. MultiChoice makes up almost two-thirds of Naspers’s revenue line and generates a significant chunk of the media group’s profits. However, trading margins were lower due to cost pressures from growing the subscriber base, higher sport content costs and competition, Naspers says. Earnings before interest, tax, depreciation and amortisation rose a more modest 12%, climbing to R6,5bn. Most of the subscriber growth at MultiChoice came from its SA operation, which expanded its customer base by 637 000 to 3,5m. The lower-priced Compact bouquet accounted for 59% of the growth. Television advertising revenues rebounded, growing 32%, according to Naspers. In the rest of sub-Saharan Africa, MultiChoice grew its subscriber base by 340 000 to 1,4m. Trading margins were reduced by a higher investment in decoder subsidies, local and sport content and additional satellite capacity. “Competition is expected to intensify across the continent and the regulatory environment remains uncertain,” Naspers says. 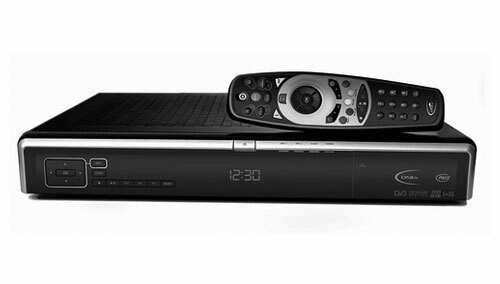 After years of enjoying a pay-TV monopoly in SA, the country got its first competitor in the space in 2010 in the form of On Digital Media, which operates the TopTV direct-to-home satellite service. In 2011, the Internet segment continued to be Naspers’s strongest performer, with revenues climbing 47% to R12,1bn, with China’s Tencent contributing almost 60% of the total. Tencent develops QQ, an instant messaging service with 637m active user accounts.